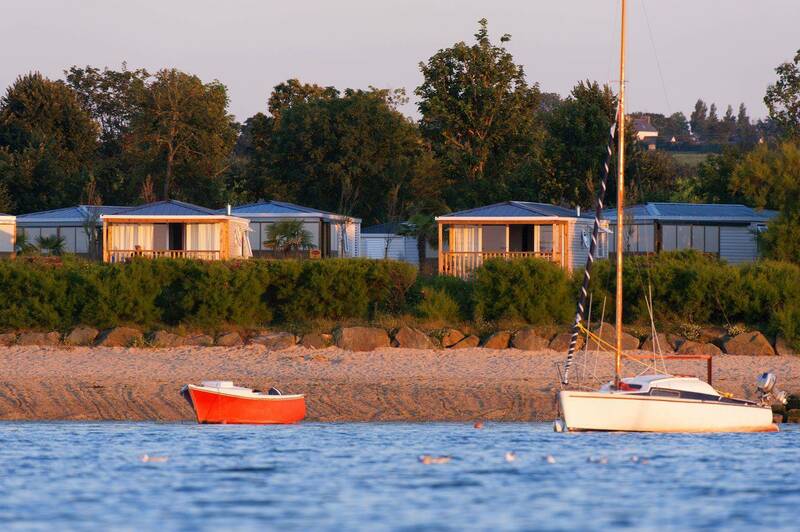 Head for the Carantec peninsula and discover one of the best open-air hotels in Brittany: Yelloh! Village Les Mouettes*****. Yelloh! 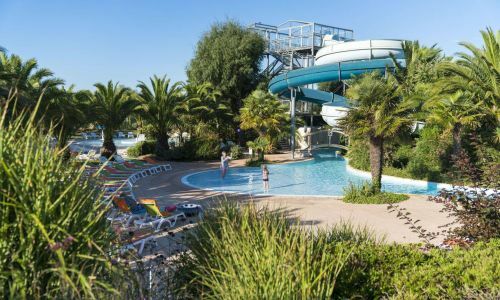 Village Les Mouettes has all the ingredients for an unforgettable holiday! 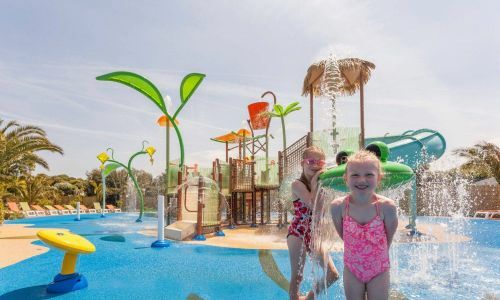 Families will love its 34-acres of lush, green surroundings and wooded areas, its impressive water park, comprising the Blue Lagoon, the indoor Balneo pool and the new family-only facility: The Aquagarden. You're in for a jam-packed holiday with our on-site entertainment team - one you'll never forget ! For 5-12 year olds : Mini-club (arts and crafts and sports activities, treasure hunts, shows, etc…) mini disco, playground etc. 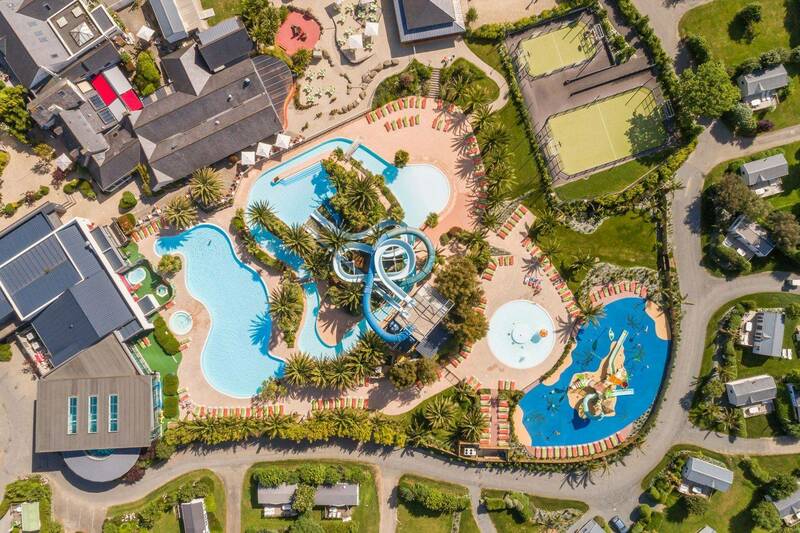 For the whole family : aquafun, aquabike, excursions, sports tournaments, etc. 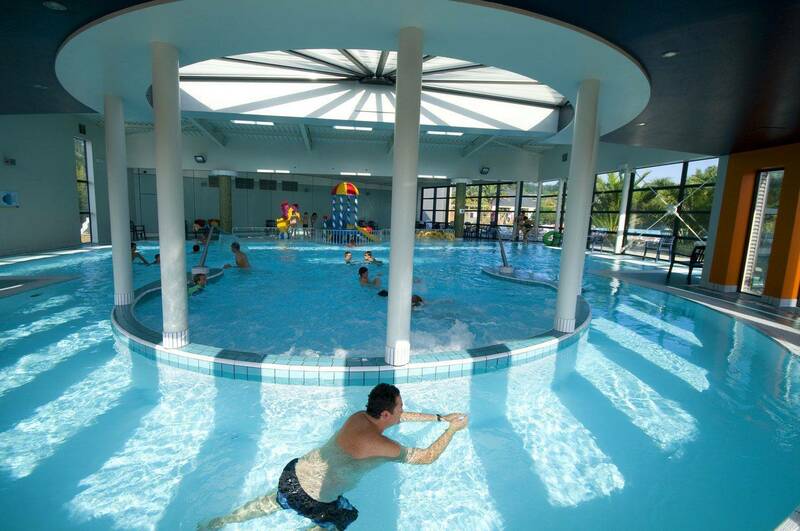 Sports and leisure facilities : Multisports court, minigolf, table tennis, pool room, games room, bowls pitch, cinema, library. Evening entertainment : Mini disco for children, clown and magic shows, concerts, late night opening at the pool, games night, etc. Sea-based activities (kayak, deep-sea diving, etc). Horse and pony rides leaving from the holiday village (in July and August). Tree-top adventure course 10 minutes from the campsite. 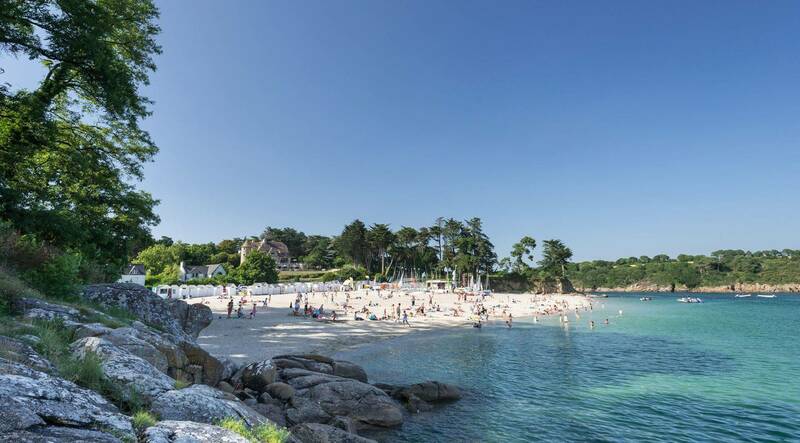 Tours of the many islands in the beautiful bay of Brittany. Yelloh! 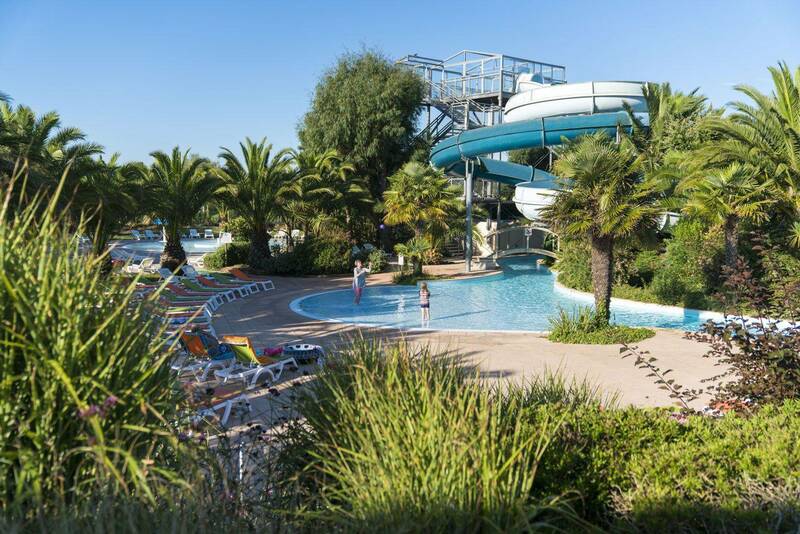 Village Les Mouettes***** is the ideal choice for camping and caravanning fanatics. You have a choice of 121 grassy, serviced pitches with water, electricity and drainage. 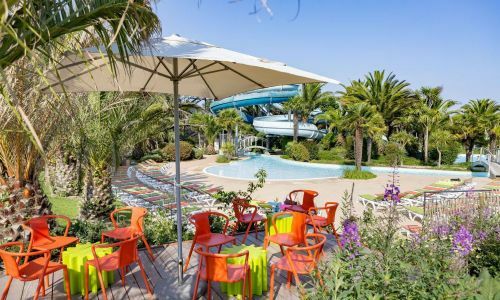 Whether you go for a "3 flowers" (over 100m²), "4 flowers" (over 130m²) pitch or the Premium campsite pitch 150m2 equipped with private bathroom, fridge, pergola, barbecue, garden furniture. 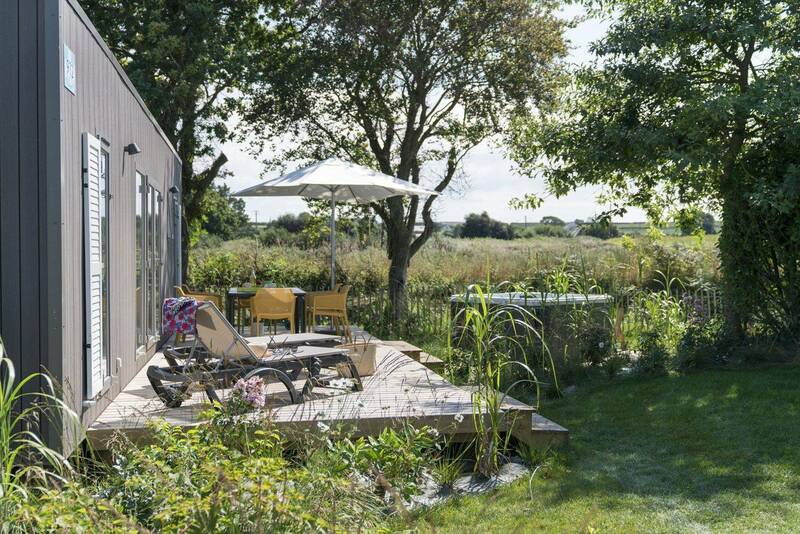 You'll enjoy peace and quiet in your own garden area. 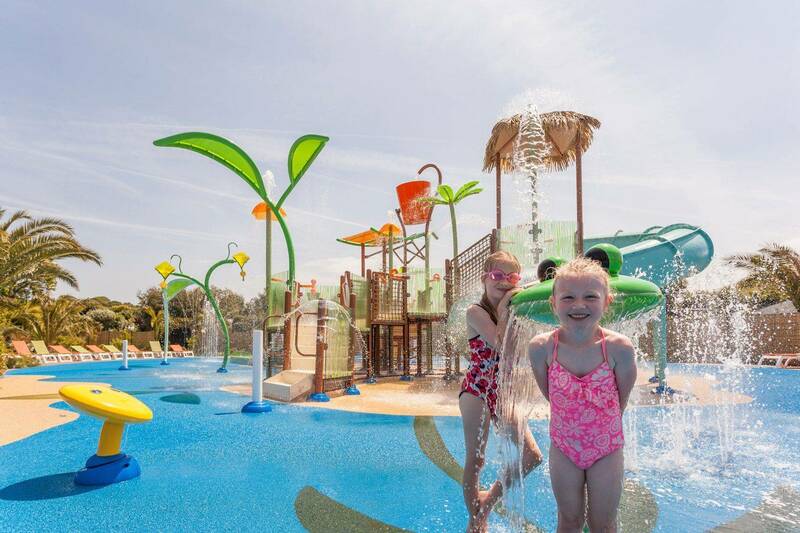 A water park by the sea - surely not?! Well, here at Yelloh! Village Les Mouettes*****, we've made it happen ! 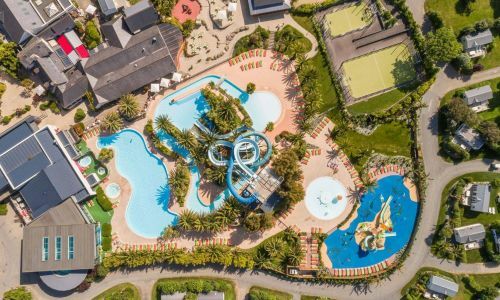 The Blue Lagoon water park is a paradise of heated pools, three giant water slides, and a lazy river, bordered by palm trees and completely free to use ! 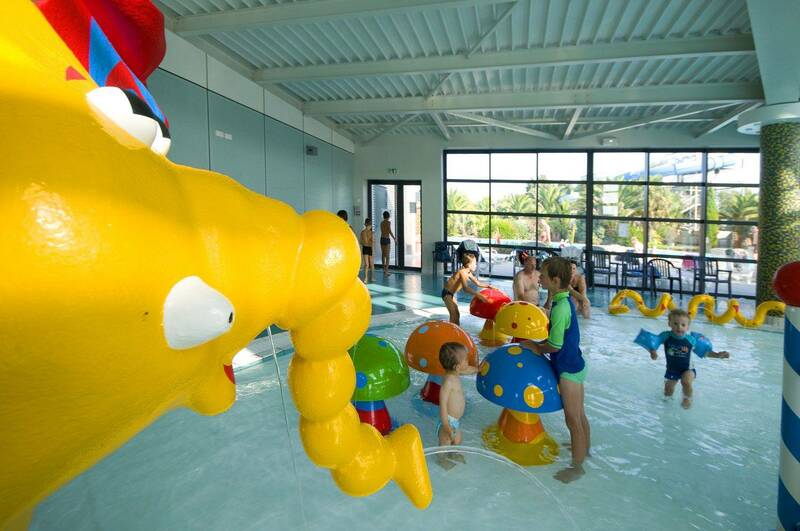 We hold various sessions for activities like aquagym, aquabiking and aquabasketball. Or just lie back and do nothing - whatever makes you happy on holiday ! The Balneo space is designed with family well-being in mind, providing warmth, light and relaxation. 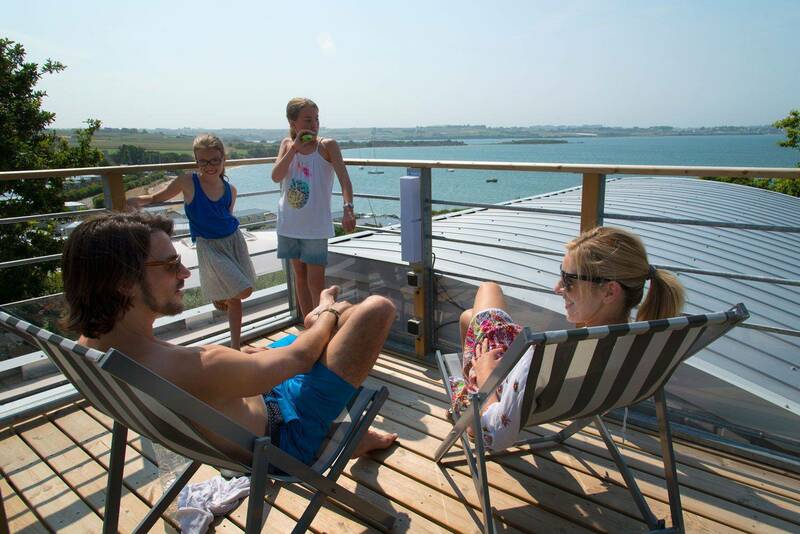 Soak up the relaxing atmosphere and kick back during your stay in Brittany ! 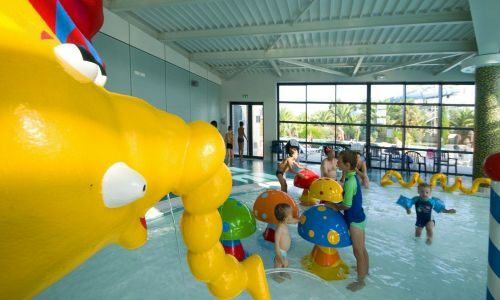 Our facilities include massage jets, a counter-current system, a hot tub, a splash pool for little ones and much, much more. Here, it's all about fun and well-being ! 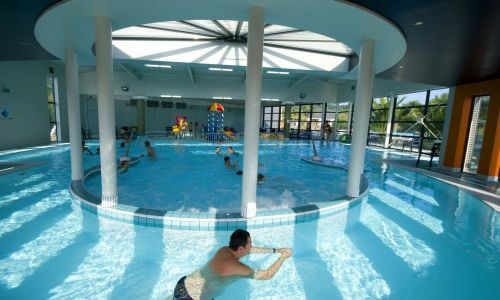 The spa centre, with its sauna, hot tub and cold plunge pool, is reserved for adults who want to enjoy some R&R. The children are even more pampered by the Aqua Garden. 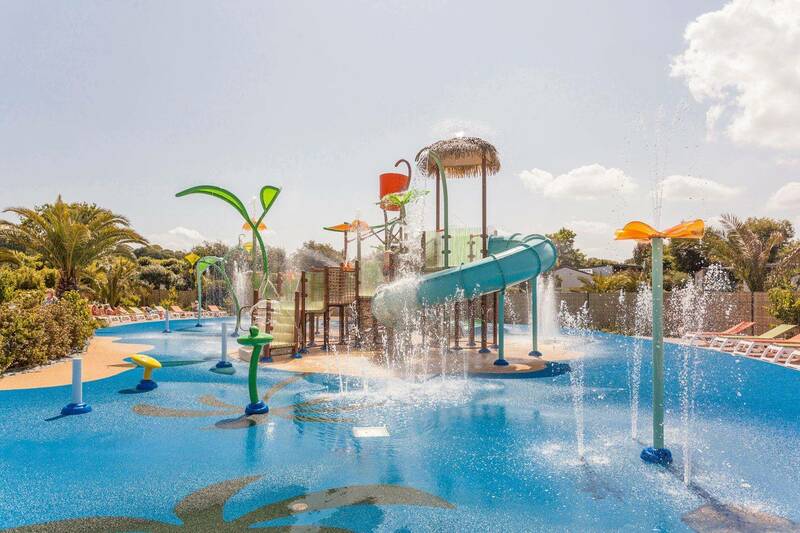 Exuding a tropical vibe, the 1,500m² Aquagarden and its host of water features is reserved for families and children under 11. 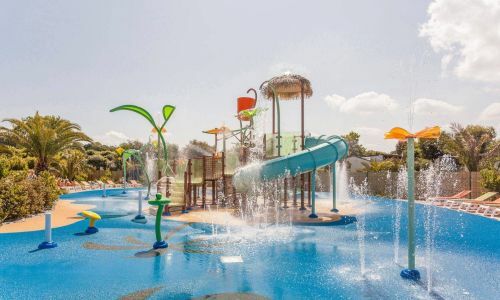 Comprises a splash pool for little ones to use in complete safety, an aquatic fun area with a multitude of water jets for splashing about in, and a sun terrace where adults can read, play or relax. In your Yelloh! 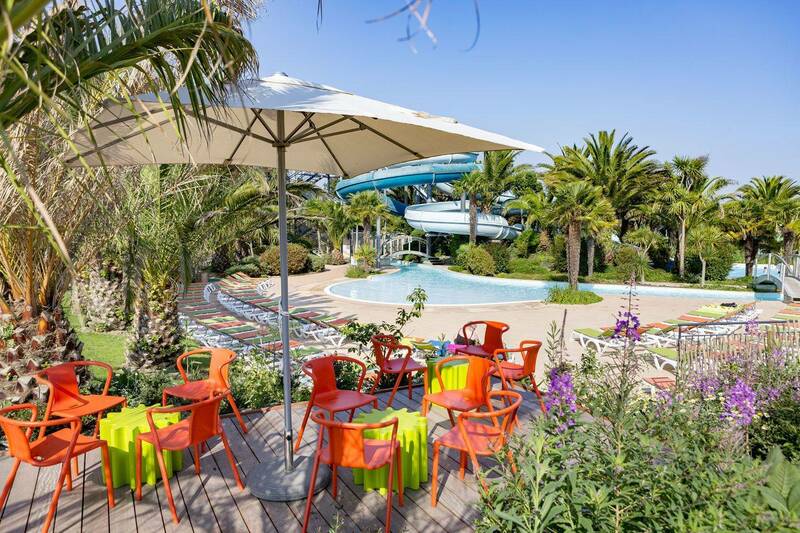 Village Les Mouettes*****, the accommodation is spread over several differently themed areas, each with their own unique natural backdrop and ambiance. Natura Lodge area : this tranquil setting surrounded by nature is where you'll find our Premium Cottages, with their own private hot tubs. Pedestrian area only. 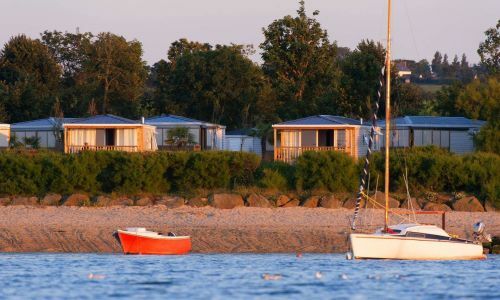 Classic area : Extremely popular, these cottages are basic and comfortable. Accessible by car. Safe and secure. 2 flowers to 3 flowers accommodation. 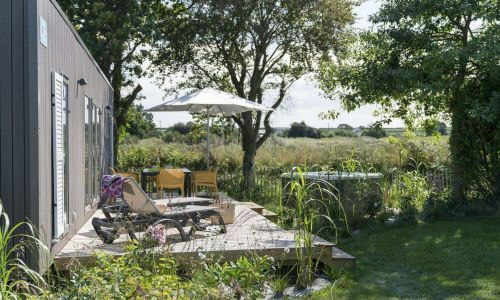 Gardénia area : This is our superb English garden, with private terraces and an array of plants and flowers; a real haven, accessible on foot. 4 flowers accommodation. 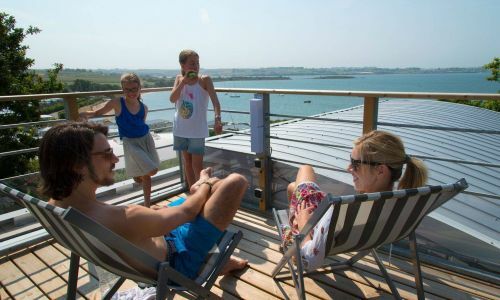 Bahia Lodges area : Cottages with large windows overlooking the sea, and a very special additional feature : a second terrace on the roof, for enjoying the sunset and taking in the sea air. Premium accommodation. Canopia area : Located at the top of the village are our Premium Chalets, tucked away in their own botanic garden where only pedestrians may roam. With its land-sea interface and fascinating history, Brittany is a place of legends and enchantment. Boasting wonderfully preserved landscapes, coupled with the warm welcome of its people, the world of the korrigans enjoys an authentic way of life all of its own. 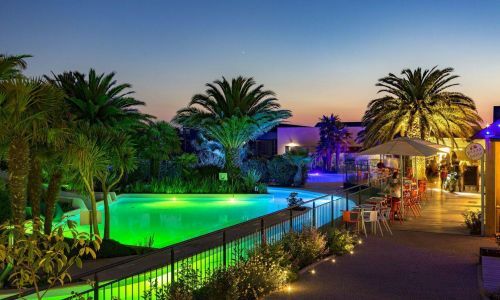 One of the best ways to soak up this Breton culture is by holidaying there and enjoying what the local life has to offer. Discover landscapes that change with the tide, sample authentic Breton cuisine (salted caramel crepes, seafood from the nearby fishing port, etc.) and stike out on an adventure, walking the legendary GR34 trail or hiking the famous Monts d'Arrée hills. The Bay of Morlaix also harbours a plethora of places like Carantec, a charmingly sized town where the local market on Thursday mornings offers a full range of the region's mouthwatering produce. 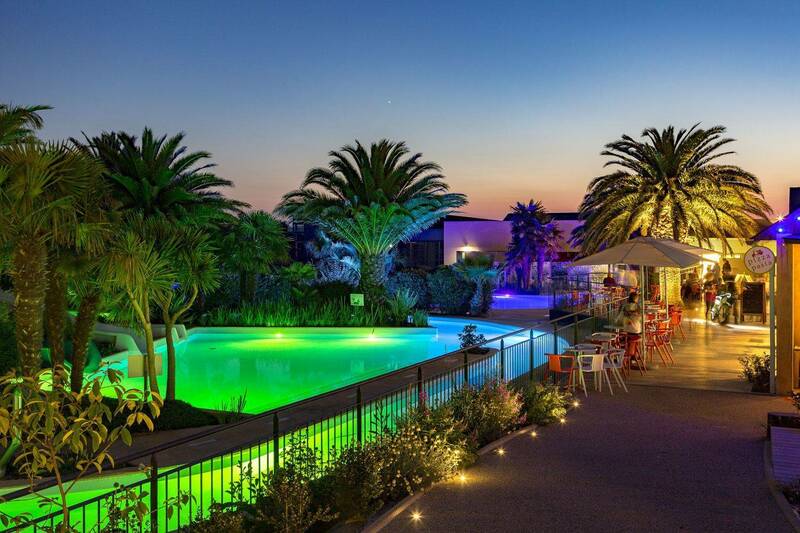 Carantec is the bay's seaside resort, with breathtaking views of the famous Château du Taureau and Louet island. Holidaymakers will love its sandy beaches that stretch along the coast and around Callot island. A campsite with a garden vibe !